The Rev. Erin Evans and the Rev. 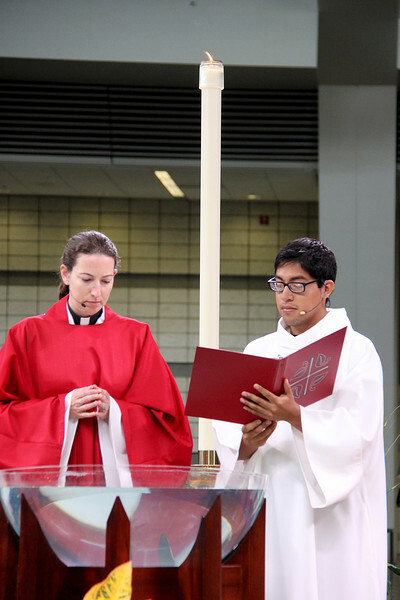 David Rojas Martinez invite all to worship at the baptismal font.